As with many growing economies, Egypt is looking to invest in science as a way to boost Gross Domestic Product (GDP) and secure a sustainable future for the country. 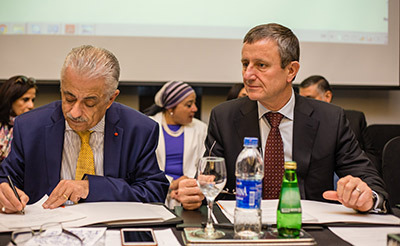 To that end, the Egyptian government has signed a national license agreement with Elsevier that will provide access to several of Elsevier’s products for all researchers, students and other citizens across the country. The mega national project called the Egyptian Knowledge Bank is an integral building block for developing an Egyptian learning society in which all citizens are given the opportunity to learn, think and innovate. This effort brings together the world’s knowledge in one of the largest global digital libraries that is accessible to all that are able to drive inspiration, learning and innovation nationwide. We look forward to a very fruitful partnership with Elsevier through which we advance scientific research and innovation in Egypt. The agreement with Elsevier provides access to a suite of tools covering science, technology and medicine. Those include ScienceDirect, Elsevier’s full-text platform for research literature and abstract and citation database Scopus. They also include Elsevier’s clinical search engine ClinicalKey, and engineering reference platforms Knovel and Engineering Village. 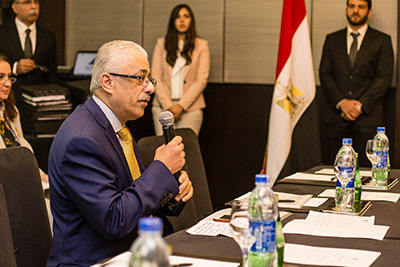 The partnership also gives Egypt’s policymakers access to SciVal, meaning they will be able assess the impact of these tools, and make informed decisions on how and where to invest in research. The Specialized Councils, which signed the deal on behalf of the Egyptian Government, are four presidential councils that focus on community development, education and scientific research, economic development, and foreign policy and national security. 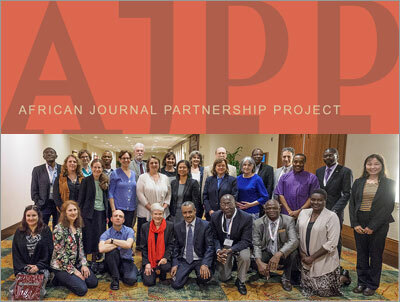 The community development council is concerned with “studying and suggesting public policies that aim to develop a community based on the foundations of justice, equality, opportunity, respect, and the acceptance of the other.” The education and research council is responsible for contributing policy suggestions for all different levels of developmental education, as well as coordinating with research centers in various fields. Meanwhile the economic development council is set to study economic policies that can lead to increased production and better use of resources.